It's Saturday!!! YAY!!! 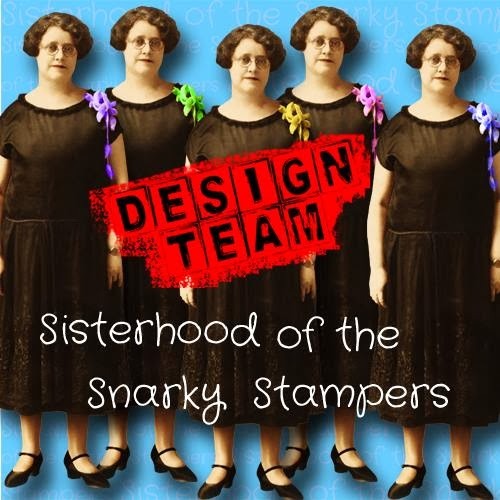 Time for another Sisterhood of Snarky Stampers challenge!!! This week's challenge is brought to you by the letter U...and U is for Unused. 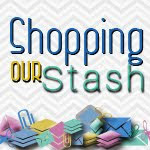 We want you to dig deep into your stash and use something that you haven't ever used before, or something that you've had for so long that you've forgotten about it. 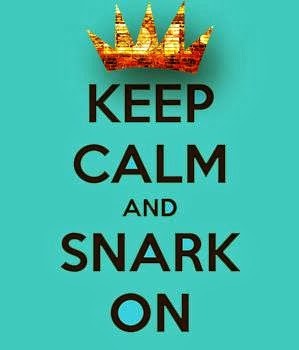 Be sure to visit the blog for all the details on the challenge and to show my snarky sisters some crafty love. I have soooooo much unused stuff in my craft room, it was hard to know where to start. I have a whole pack of unused kraft tags...so I started with one of those. I started with Gesso and the Tim Holtz eye chart stencil, then used acrylic paints over top to colour the background. I distressed the edges of the tag, I wanted some of that nice kraft to show through. Then I added my embellishments (including a little blue bling that I got for my birthday), some frayed twine for the top and ta da...stash enhanced tag! Great tag, love all the elements, it`s hard to part with stuff isn`t it. 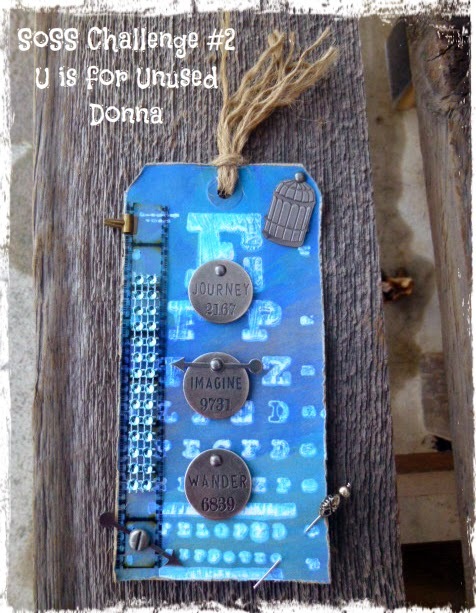 You make the coolest stuff, and this is no exception, Donna! This tag ROCKS! Careful Donna - those Tags are ADDICTIVE...grin... I LOVE what you did with yours... it's making me want to ditch some deadlines and go play with my tag stash.. TFS! Such an awesome tag! You would never know you were digging into your stash, since everything works so perfectly together. The gessoed and painted background really pops! What a great tag with lots of wonderful metal bits. I totally understand having a hard time using it... not wanting to part with such fun things! ok where do you get lunch from that it comes with craft supplies??? This is too fun - love the eye chart stamp, because that has serious snark potential!